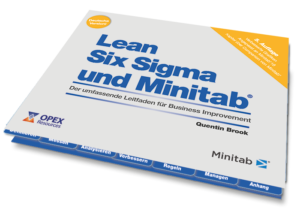 Edition 5 of our best selling Lean Six Sigma and Minitab book has been released and is now available to order in German! Working in partnership with Merck (KGaA) and ADDITIVE the book has been fully translated, including all of the Minitab screenshots and data files – providing a complete reference for German speakers. Want to order your copies? The German version of Lean Six Sigma and Minitab is now available for to order – just go to our online shop to order today. Read about the book in German or contact us if you have any questions about this German version of Lean Six Sigma and Minitab.